What inspired you to begin Family for Us Too? As a former foster youth who aged out without a forever home, I know how important it is to have a family to call your own. I have a passion for helping others and for providing care to those who need it, and that’s exactly what I wanted to do for all former foster youth who age out of care. Why is it so important to empower and invest in children? Children are our future leaders. If we give them the structure and necessities they need to be great in their present, it will show in our future by way of their leadership. It is a must to empower children so they are built strong and knowledgeable, so they’re equipped to handle problems they will face with wisdom and common sense. What advice would you give to youth aging out of foster care? Know your worth. You are not what you have gone through. Never give up on yourself, even if others have given up on you. You have the opportunity to transform a painful past—go for the best based on surviving the worst! 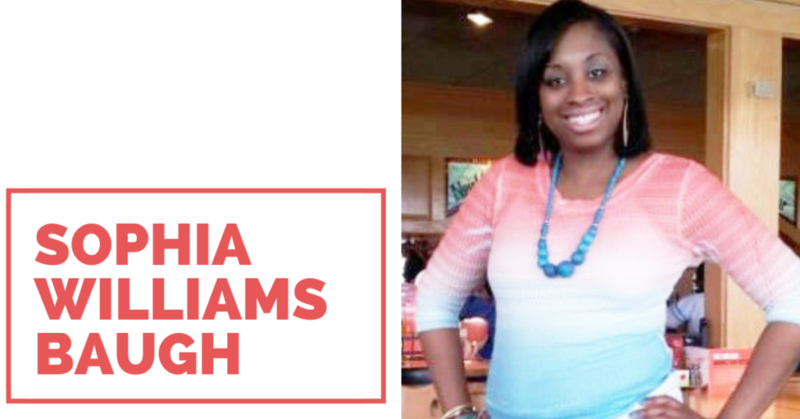 Sophia Williams Baugh was a contributor to Children’s Rights 2016 Fostering the Future Campaign. Read her powerful article, “They Don’t Know the Life of a Foster Child,” here. To learn more about Family for Us Too, visit family4us2.org.